This deciduous tree reaches 12-24 meters in height and often occurs in large clumps connected by underground roots. This species is dioecious; individual trees are either male or female, producing either male or female flowers. Both male and female flowers are tiny and arrayed in elongated clusters (catkins), which look like long, soft caterpillars. 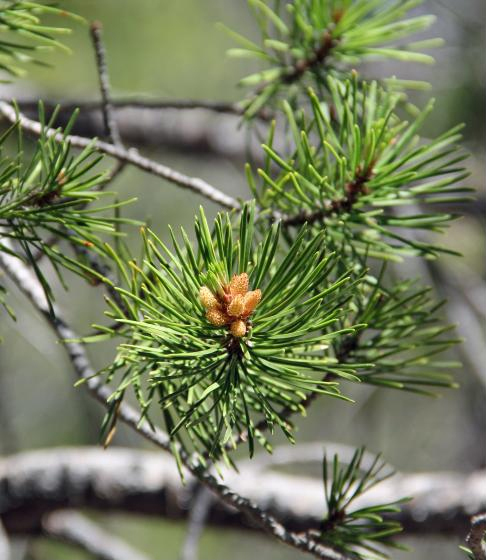 Lodgepole pine (Pinus contorta), an evergreen pine, can be either a tall upright tree or shrub. The trunk has scaly bark and reaches 2-34 meters in height at maturity. Ponderosa pine is an evergreen conifer tree growing 60 to 100 feet tall. The bark has a distinctive orange color with black crevasses. It has long needles in tufts of two or three. 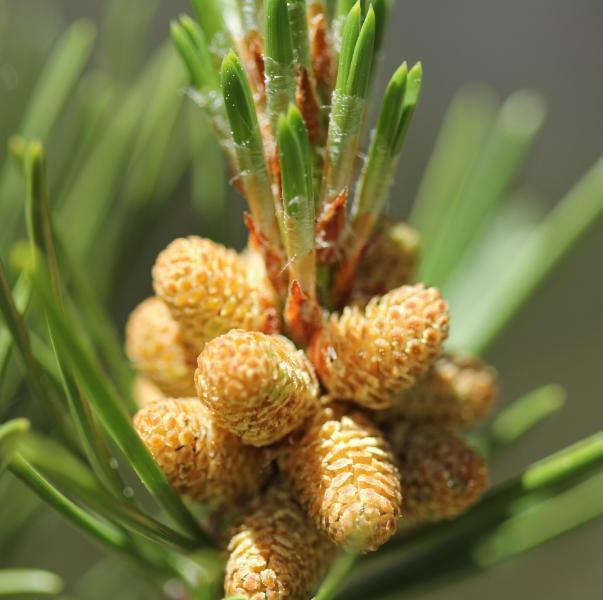 Male and female cones occur on the same tree; the small male cones bear the pollen and the large female cones take two years to mature at which time they become woody. Lupinus obtusilobus is in the pea family (Fabaceae). This perennial herbaceous species grows between 15 and 30 centimeters in height. The palmate leaves are silvery in color with silky hairs. Leaves have 6 to 7 leaflets that can be up to 5 centimeters long. The small flowers are clustered in whorls and are blue to lilac with a yellow patch. The fruit is a silky legume pod with mottled brown seeds inside.